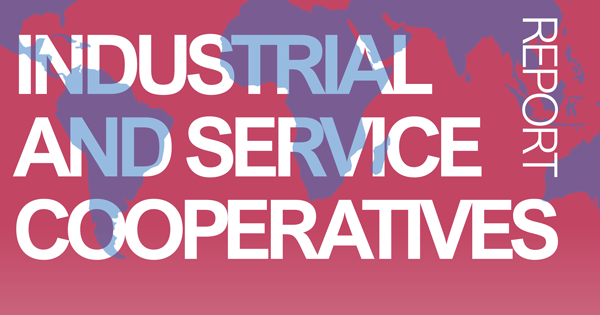 After the first report released in 2015, the CICOPA second global biannual report on industrial and service cooperatives (2015-2016) is out. Based on a new methodology that combines qualitative and quantitative surveys with strengthened internal desk research, it aims to pursue and improve an exercise of reporting the evolution of its network whose very beginning dates back to 2004, as well as to draw an overall picture of the worldwide movement in this sector. The report provides the main figures of our sector today, both within the CICOPA network and beyond. It delves into the trends in entrepreneurial development observed within the network over the last two years. Furthermore, it briefly draws a state of the art of youth cooperative entrepreneurship and of the involvement of CICOPA industrial and service cooperatives in the green economy, reporting some experiences in these fields. It also tries to report the main challenges and opportunities faced by cooperatives within the CICOPA network as well as the most crucial policy issues reported by members at the national level and those dealt with by CICOPA itself at the international level. Starting from the dataset used for “Cooperatives and Employment: Second Employment Report” (September 2017), the report estimates that there are, worldwide and beyond the CICOPA network, 377,984 cooperatives in the industrial and service sectors providing almost 20 million jobs, whereas the estimated number of cooperatives in the CICOPA network is 65,000 providing 4 million jobs. These figures suggest that there is still a long way to go for CICOPA to enhance its network at the global level. As far as quantitative information on the CICOPA network is concerned, the number of cooperatives analysed for this report represents about 82% of the total number of cooperatives represented by CICOPA. Among these reported cooperatives, worker cooperatives are the largest part (74%). Social cooperatives and producers’ cooperatives make up respectively 17% and 4%. It seems very important to try to further understand the producers’ cooperative model, still so little present in the CICOPA network. This is particularly important in this moment when new forms of work and employment have multiplied, mainly through on-line platforms, and a cooperative response is urgently needed. With regard to their economic activities, CICOPA worker cooperatives are mainly active in manufacturing (22.5%), wholesale and retail trade (14.5%), and construction (10.2%), whereas the most representative activities for social cooperatives are human health and social work (46.3%), education (12.7%), and administrative and support service (9.7%). What about the main trends in entrepreneurial develop¬ment observed within the network over the last two years? Overall, the report points out positive or stable entrepreneurial trends. In particular, health and social work and service activities seem the most growing ones. However, signs of economic slowdown compared to the previous two-year period (2013-2014) were reported mostly in South America (Argentina, Uruguay and Colombia) and Eastern Europe (Poland, Romania and Bulgaria). In Europe there seem to be a dual trend according to the sector of activity: the service sector is generally doing better whereas industry is suffering somewhat, in particular manufacturing and construction. It should be underlined that we have been observing an increasing interest within our network towards the social cooperative model, which is specialised in the provision of services of general interest (social and environmental services, education, culture etc.) or in the work integration of disadvantaged and marginalised workers (persons with disabilities, long-term unemployed, ex-prisoners, addicts etc.). Furthermore, there seem to be an increasing interest towards new innovative sectors, such as Information and communications technology, or green economy activities. However, these promising trends are not fully reflected in the figures yet and need to be closely monitored in the next years.